The cannabis concentrate guide explores the world of cannabis and its concentrates and extracts. The unique cannabis plant is helpful medically and is used for tons of various therapeutic reasons. Cannabis concentrates are just one way of recognizing the individuality of this plant. There are more wonders offered by cannabis and waiting to be experienced as more research is done on cannabis and cannabis concentrates. This guide takes you on the magical journey of concentrates and why their popularity has increased over the years. Cannabis concentrates increasing popularity is basically the return of the pre-prohibition tradition of alcohol. It is in this era when cannabis was ingested than smoked. Understanding of cannabis concentrates, their methods of consumption and the usefulness of the concentrate is the subject of this guide. The guide is an informative guide for those interested to explore and gain in-depth knowledge about cannabis concentrates. The information is provided considering both recreational and medical use. It is a guide to using and making of cannabis concentrates, the alternative concentrate consumption methods, the concentrate consistencies and textures and its exploding popularity in the modern era. Over the past decade, the popularity of cannabis concentrates has skyrocketed among the cannabis and alternative lifestyle community, particularly in the US and Europe. The high-quality extracts obtained by using modern extraction techniques have caused a boom for both recreational and medical use of cannabis concentrates. But where do these concentrates come from? How was the first ever concentrate made? And what are the latest developments in terms of different extraction and consumption methods? Despite that most cannabis concentrates are now produced with modern extraction methods and modern technologies, they hold an established and extensive history. The first use of such cannabis concentrates can be dated back to around 10,000 B.C in Steppe Mountains – China. The legalization of marijuana by several states has dramatically increased the demand for and popularity of cannabis concentrates. The exponential increase in consumer interest and desire has helped in refining the prevailing concentrate extraction methods to new and innovative heights, thus, giving rise to many exciting and new forms of concentrates. If you are a seasoned cannabis consumer then these concentrates are your best option to increase your high intensity. The concentrate are for you if you are the flavor connoisseur who wishes to taste the exquisite terpene profile that only a vaporizer could give you before. Cannabis concentrates are also popular for their medicinal purposes. Patients, who are in need of relief, consume medical marijuana. They turn to concentrates for an economical, direct and fast-action solution for different ailments. From medicated gummies to muscle creams to brownies, you can now easily find these concentrates in thousands of products. Concentrates sometimes are also called hash and are another way to consume cannabis. They are the product of the cannabis plant that is processed to store only the most desirable compound – majorly terpenes and cannabinoids – while eliminating the other impurities and excess plant material. Ounce for ounce concentrates of cannabis has a high proportion of terpenes and cannabinoids in comparison to natural plant flowers. The benefit of concentrate over several other forms of marijuana is that it offers quite a high potency medication that is fairly easy to consume. Concentrates are often confusing for novice consumers. From tinctures to wax to oil to shatter, to you name it, they are extremely potent and in some cases contain strong cannabinoid concentrations. Concentrates are extracted from the plant using different solvents typically. Today concentrates are considered to be the most effective for patients who are in need of extra strength pain relief and do not want to vaporizer their herbs. As more and more medicinal value is recognized, the cannabis industry is quickly embracing the world of concentrates. Don’t confuse the term concentrate with extracts. Concentrates are obtained in many forms. The concentrate is the most desirable part of anything. Just like orange juice concentrate refers to the taste and smell of orange fruit but it doesn’t contain the excess peel, fluid or pulp. Now in terms of the cannabis plant, the flavors, aromas and other desirable components are retained whereas stems, leaves and other similar unwanted materials are removed. On the contrary, extracts are a particular concentrate type and use solvents to completely draw out the substances of seed, plant or fruit. Just like vanilla extract is majorly produced by the use of alcohol; acts as the solvent, drawing out required flavor component i.e. vanilla from bean pods of vanilla. So the basic difference between concentrate and extracts is that all extracts are concentrates. But all concentrates are not extracts. The terms may be used interchangeably but their primary difference lies in the manner in which trichomes are collected. Some of the most commonly found terms which describe the most frequent cannabis concentrate textures available in the market include Budder, Shatter, Crumble, Badder, Sauce, Sugar, Crystalline and diamonds. The popularity of cannabis concentrates has undoubtedly more than doubled in just the last decade. The modern extraction techniques are achieving high quality concentrates along with new cannabis strains appearances that have led to the extracts boom for both recreational and medical use. As we know, the extracts of cannabis resin have been in use for centuries. Even though there is no accurate or exact source to date the origin of these concentrates, there are some testimonials that help to clarify things about cannabis derivative origins, possibly dating back 1000 years and most likely belong to the Middle East or Central Asia. We also know that, in the Middle East, hashish was being consumed in the X century. However, we don’t know if it actually came from Central Asia or this area. This area now would be Uzbekistan, Afghanistan etc. The earliest mention to popular hashish is written in the Book of Poisons by Ibn Wahshiyya. In his book, he describes hashish’s toxicological aspects. And now we know that the first made concentrate was charas and it was obtained by rubbing fresh plant/flowers with naked hands. This is now called hashish. Thanks to the Sufi monks, the use of hashish instantly spread in Muslim territory and it was used on daily basis. Later on, a new and first ever dry sieving technique was developed that allowed the hashish producer to easily process more material in a much less time. This method prevailed over the rubbing method and by the time the demand for hashish was at its peak, there were a few places which were still producing charas including Kashmir, Nepal and North India. However, the biggest dry sieved hashish producing and cannabis-growing areas were Turkestan, north Afghanistan, also Lebanon. The initial solvent extracts, however, arrived in the Western world by the hand of underground growers. And soon the entire medical community formed interest from both the USA and Europe and started focusing on cannabis tinctures. Even though THC acetate was already used by the American government in controversial interrogation programs back in the 1940’s, it wasn’t until first ever westerners successfully traveled to already cannabis producing countries that the ancient methods of producing dry sieved hashish or keif were completely replaced by contemporary farming techniques and ways of resin separation. This remarkable progress helped producers to meet the increasing international demand but sometimes at the expense of quality. During the period, on the west coast of the United States, marijuana enthusiasts and researchers tried diverse extraction techniques with varying alcohol and cannabis types along with imported hashish. One of them includes the research started by author D. Gold on isomerizing CBD to THC. Hence the production of first modern cannabis oil took place and it was a lot more potent and simple to smuggle than marijuana. After some time, a few western travelers were on the way of Hippy Hashish Trail and visited Afghanistan, Lebanon, India, Pakistan, Morocco and even Nepal, commenced massive oil production in all these countries while people like Brotherhood of Eternal Love smuggled a massive quantity of oil and hash into the Eastern Europe and USA. Since the first process of making cannabis concentrate, they have significantly evolved. From the time of hand-rolling charas, the basic extraction process has come a long way. With the help of technological development and further chemical and scientific unearthing, concentrate extraction has transformed into a modernized and highly sophisticated practice. Now lab grade equipment is used for non-solvent and solvent-based extraction methods, which are capable of generating a variety of different consistencies and types of concentrates. The most popular concentrates are named after their unique appearance. Today there are two primary methods used for creating cannabis concentrates, non-solvent based extractions, and solvent-based extraction. Remember the old chemistry lecture; a solvent is nothing but a liquid that is used to dissolve in making a solution. In terms of extraction, a solvent is a simple liquid that is used to separate THC (psychoactive compound) and other cannabinoids from the cannabis flower. Some of the most famous solvents today include CO2, butane, alcohol, and propane. It is true that water is also a solvent but in the marijuana industry, it is taken as a non-solvent extraction method as THC and other cannabinoids are not water soluble. Such processes are similar to create vitamin capsules and essential oils. Just to mention again, even though most concentrates are usually recognized by their appearance, the actual difference among products lies in how they are made and not the final form. Now take a moment and let’s ask again; why should we consume cannabis concentrates? Well, concentrates are growing rapidly in terms of their popularity and for a plethora of reasons. Concentrates are way more potent than flower as all the goodness has been concentrated. This means that they offer a more economical way for cannabis consumption. Since concentrates hold high potency, they allow some medical patients to get faster relief than edibles or flower. Concentrates are more efficient than any flower and allow patients to completely remedy their medical ailment, efficiently, and with a large and quick dose of cannabinoids. Also, the new way phenomenon called dabbing enables the consumption by cannabis users in a more discreet manner. The vapors of the concentrate don’t stick on any clothes, nor do any residual remains in the air like the combusted flower does. After a dab, the room smells more like If we consider places like Colorado, which prohibits marijuana smoking in many residential properties, the use of concentrates makes it a lot more possible to tactfully consume cannabis. However, a new concentrate user or what they call dabber should avoid vaping or dabbing too much of the concentrate at once. Otherwise, an infrequent smoker may experience quite adverse reactions in terms of concentrate consumption like paranoia, rapid heartbeat, and even hallucinations. If you are a novice consumer of cannabis, seeking lighter or less intense concentrates highs or anyone who is not sure if these concentrates are actually for them, they should go with vape pens or a concentrate vaporizer as this would be perfect for them. This is because, most of the concentrated marijuana present in vape pens are actually oils mixed with glycerin which cuts the potency and can be smoked gradually while it reduces the chances of taking a large hit, feeling an uncomfortable or intense high. Until now, there have been two primary methods of creating concentrates. One is the solvent based extraction and another non-solvent. Before we move to nonsolvent extracts and its products, let us dig deeper into solvent-based extraction. In solvent-based extraction, different chemical solvents are used to strip resin glands which contain THC (a psychoactive compound) from the cannabis flower. These chemical solvents include propane, butane, alcohol and carbon dioxide. Solvent-based extractions use these chemical solvents to strip the potent resin glands from the cannabis flowers. As we know chemical solvents are highly flammable, therefore expert extractors make use of ‘closed-loop’ system to prevent any airborne chemical exposure throughout the process. This also eliminates the risk of over-pressurization, fire or explosion. In many states, it is now a felony to make BHO or Butane Hash Oil. Solvent extracted concentrates are often considered unhealthy or less healthy in comparison to other non-solvent concentrates. The biggest and primary concern is that the inhalation of residual solvents is usually unhealthy, but there is no scientific data that would fully back this claim. With the purging process, many extractors will say there are no residual solvents left in the concentrates. Reality is our world is dirty and these residual or apparently unhealthy solvents are usually present in several consumer products that are FDA (Food and Drug Administration) regulated. Examples of such consumer products are air fresheners, cooking sprays, and canned shaved creams. As the name suggests solvent-based concentrate products are created from the cannabis concentrates created by solvent-based extractions. Let’s discuss some of them in details. It is one of the most well-recognized dabbable concentrate types. Wax is created by blasting a plant material with a solvent using an extraction system such as a closed loop system. As the product is usually whipped by hand, it gets airy peaks, comparable to whipped topping. Wax is usually drier and a lot more crumbly comparing its counterpart – budder. People really like the wax as it is not so sticky making it one of the lesser messy concentrates. Budder is mostly wax yet having a slightly higher content of moisture. Budder wax is malleable and oily whereas wax is more solid and crumbly. It contains more moisture content as it whipped but less than wax. As stated earlier, several hydrocarbon extractions may be similar in nature but the finishing technique actually determining the consistency and appearance is what gives the final product. Over the years, the oil form CO2 extracted concentrates have become quite popular. It is an incredibly effective technique to separate the concentrates from the plant material and to produce a nice amber oil production. It is preferred over other oils as it yields purer and incredibly cleaner product with low residual solvent. It is considered a solvent with fewer health issues due to its natural occurrence. Many times the CO2 extraction is used in tank style pens as it is an oil and is a pain to dab traditionally. Often the CO2 is mixed with glycerin and other terpenes or flavorings to enhance the flavor experience. Shatter is produced by blasting plant material along with a solvent through a closed-loop system. Sometimes during the process, the shatter doesn’t purge properly and result into a taffy-like a concentrate. Another thing that prevents shatter from hardening is if the extractor let the concentrate get too hot when purging the solvent. Shatter can be of different color ranging from dark to light amber. It is high in terpene content that gives it superior flavor and aroma. People really like the shatter form of concentrate as it also is easy to dab with. On hot days the shatter may turn softer like taffy. Distillates are new concentrate products. They use the latest scientific equipment to vaporize or heat the CBD and THC within the flower that brings the vapor into some cooling system for consolidation as well as collection into beakers. The process is repeated multiple times to produce pure cannabinoids without plant matter or residual solvents. The price of distillate varies in terms of price. Something to note with distastes is they lack terpene flavors. People will use distillates and terpenes to mix with other forms of concentrates to get a more flavorful experience. RSO or Rick Simpson Oil is highly potent and popular decarboxylated concentrate extract. It is consumed orally. It makes use of pure aliphatic naphtha to eliminate resin that contains cannabinoids. This results in viscous and dark products with 90% THC level and an earthier flavor. This form is usually used for medical purposes and was used by Rick Simpson to control his cancer. Cannabis caviar is produced by soaking cannabis flower in hash oil. This soaked flower is then coated in kief and left to dry until perfect for consumption. Naturally, it is very potent and when burned, it lasts much longer in comparison to a normal flower. Similar jelly hash is another famous potent mix of hash oil and kief. It is rare to find as it takes a lot of work, but highly effective for anyone undergoing chemotherapy or suffering from nausea, chronic pain or any other illness. It has an earthy flavor and mild aroma. It is created in the same way as wax. The starting product is often fresh and frozen plant material. As the cryogenically preserved material is used, the final product has exceptional and robust cannabinoid and terpene profiles as they are similar to the live plant’s qualities. Live resin is quite famous for its great flavor and similarly with live plant’s taste and aroma. Now live resin comes in different consistencies such as live sugar is just a form of live resin that appears as amber sugar patty whereas budder is more malleable and smoother in consistency. The sugar effect comes from some of the THC crystallizing. Pie crust or Honeycomb is also produced with the same closed-loop extraction system as wax. The final product is a shiny shatter like substance that looks like a honeycomb, cookie crumble. It has an amber color to tan color and strong flavor and aroma. The price of pie crust also varies depending on the dispensary. These are when the wax or shatter is left in heated vacuum for 1-3 weeks. Over time and in a vacuum the THC-a starts to crystallize and form crystals and as they get bigger people call them diamonds as they look like freshly unearthed diamonds. With diamonds consisting of pure THC-a, user will add them to mixture cocktails. The sauce is what people are making when they take some Diamonds, terpene extractions, distillate and maybe even a little wax. They mix this up to form a new consistency and cocktail they call the SAUCE. Let’s get saucy they say. Mixing the cocktails the sauce artist can create a very unique form of a concentrate that is very flavorful and has a PUNCH. The process of nonsolvent extraction typically involves the use of ice to chill flowers (cannabis) to sub-zero temperatures. This agitates the resin glands to separate from the flowers epidermis. Sometimes, pressure and heat extractions are also implemented to produce non-solvent concentrates. Typically, they are more smooth-hitting concentrates and highlight the product’s flavor, aroma, and overall effects, compared to various other extraction methods. Today, full-melt bubble hash and rosin have increased in popularity as they are usually extracted without using other chemical solvents. Full-melt bubble and rosin are non-solvent concentrates. These non-solvent concentrates are considered as the healthier form of concentrate because of the absence of residual solvent on a PPM (parts per million) scale. Contrary to famous belief, the process of non-solvent extraction results in finished products with equal or higher potency than the ones created with solvents. Thus, such conventional extractions are popular with new consumers and purists who are conscious about the chemical they inhale or not inhale as well. Solvent-free concentrates seem to hold the terpene flavors more than solvent-based concentrates. During the nonsolvent extraction process, attention to detail is highly critical as there are several factors that must be considered in order to make the high-quality end product. The first thing that needs to be considered is that the quality of the final product directly correlates to the quality of the starting material. In brief, you get what you put in, and as they say at the dispensary, “fire in is fire out”. The key to excellent nonsolvent extracts is to use only the best quality starting material. The high-quality nonsolvent concentrates are produced by using good quality and fresh frozen cannabis flowers. Since no chemical is introduced to the overall process, plant’s chemical structure remains unaltered and results in a complete and rich terpene as well as cannabinoid profiles. People will call this full spectrum concentrates. Following are some of the solvent-free products. Extraction with the use of pressure and heat has been around for some time but rosin has gained increased popularity recently. The rosin production involves the use of high pressure and heat that isolate the essential oils of trichome heads to produce a more solid form of rosin. Debatable, rosin is the safest and easiest way to create dabbable concentrates. Since it doesn’t need solvents, it can also be produced legally at home. Many times rosin will be made from kief or bubble hash. Some companies have built purpose-built machines to effectively and efficiently extracting rosin. The flavor, taste, and aroma of rosin greatly vary as it depends on factors like starting product (bubble hash, flower, and kief) and actual extraction methods. Dry sift is actually refined kief that is mechanically or manually extracted by using various micron screens, to keep trichomes intact. Just like bubble hash, the quality of dry sift can be graded in several ways. Kief is, however, the lowest grade that contains most plant contaminants and is not recommended for dabbing because of strong plant matter concentration. Dry sift looks fine and tan or beige in color. It can be consumed as it is or on top of the bowl. Mixed with some dry herbs and placed into a vaporizer like the Silver Surfer the user can experience larger clouds and longer lasting bowls then vaporizing dry herbs by themselves. Full-melt bubble hash is also produced the same way bubble hash is produced. But it is more refined as it is intended for vaporization or dabbing purposes. The fresh frozen flower is what is used for the material and thus the final product produces robust cannabinoid profile and terpene. Again, the final product quality highly depends on starting product. This means that the only way to get the high-quality final product is to use the high-quality flower. This concentrated form has an earthier aroma and is much more potent as most of the terpenes and cannabinoids are found in the trichomes and there is not a lot of dilution from the plant material. Kief is the most traditional and simplest type of concentrate. Its extraction process involves fine and specialized filtering screens and cannabis flower. The flower is rubbed against the screen, isolating and agitating trichomes and effectively creating a product that comprises collected trichomes. You can easily extract kief by using a three-chamber grinder. Kief is quite fine in texture and takes on tan or light brown coloring. It mimics flower flavor and either be consumed or used on top of a bowl. Live kief is also made of the fresh frozen flower. After a liquid nitrogen bath, it is also extracted through agitation. Live kief is usually more preferred as it produces a more flavorful, potent and aromatic product. How Do You Consume Cannabis Concentrates? Now you know the different ways to make concentrates, you must be wondering about its consumption method. You must be thinking how can I actually consume such potent distillate. Well, there are different ways to consume cannabis concentrate. For instance, the traditional hash is taken as predominantly consumable (smoke) type of cannabis whereas other concentrates may be heated to produce a variety of effects. These concentrates are usually heated by non-combustion heat sources and is what people call dabbing. Just like the flower, concentrates are also consumed in many different ways. Some of these methods (as we discuss them below) are more effective than others. However, the consumption method preferred is simply a personal preference. One of the most popular consumption methods involves the use of a dab rig along with what is called a banger and small butane torch. This allows the concentrate to vaporize so it can be inhaled by the user. But now, many more safe and discreet methods are becoming increasingly famous such as a portable vaporizer pen or a desktop vaporizer like the Silver Surfer. Using a vape like the Silver Surfer allows the user to perform traditional dabs with the essential oil kit (EOK), or they can use the wand and a flavor disc with the dabs on the flavor disc. This method along with putting some dabs or concentrates directly on the herbs are one of the cleanest and most flavorful ways to consume cannabis concentrates. Regardless of the type of method you choose for consumption, you must have the education of different ways so that you go with the one that is most enjoyable as well as being convenient for you to ensure a pleasant and positive experience. Due to increasing popularity, most of the head shops and dispensaries now keep a good stock of such products specifically designed for keeping extracts in mind. Let’s discuss the four most popular ways to consume cannabis concentrates! As people are now more familiar with the marijuana consumption, both in terms of medicinal and recreational purposes, we can see that they are considering different consumption methods as well. Not many people who wish to consume cannabis concentrates and get the benefits from the distinctive qualities like to consume it by smoking in a pipe or in a cigarette form. Thus we can easily notice the rise in people who prefer to consume concentrates through edibles. Edibles are a great option for people who wish to avoid smoking. This is maybe the healthiest ways to consume cannabis yet the worst way to dose unless you are micro-dosing. Many people new cannabis want to consume marijuana by eating it as they see the harm in smoking. In some cases, cannabis is put into biscuits or cakes which are then easily eaten. You can easily buy these already-made products or you can make them all by yourself by adding concentrates to the meal. There are also drinks which are considered as edibles and are one of the most enjoyable ways to consume concentrates. One of the best ways to make edibles is using concentrates and putting that in the batter and then backing. This will let the food keeps its taste while giving it the medical qualities of cannabis. However, the only downside is that you get very little control over the cannabis dosage you are consuming. Also, the consumed dosage takes around 30 to 90 minutes to actually come into effect. As per the research, when edibles are produced, so many specific properties of the concentrate are lost due to the processing of the edible. Indeed, there are many methods that work great at preserving particular attributes. The various chemicals which are used within the food along with the strong heating process change the marijuana effects within edibles. Thus, it is then down to the individual to actually find the edible that perfectly suits him/her and in what quantity or dosage. For this reason, many people look to Kind Capsules. These are capsules filled with cannabis oil and are usually cut with another oil to dilute the cannabis oil such as hemp oil, canola oil, coco oil, or really any oil you like. To prepare an edible, all you need to do is to simply heat the concentrates, slowly, and in a fat-rich substance like coconut oil or butter. Or, you can simply follow an easy and regular recipe of your favorite dish. Make sure the concentrate mixes well by constantly stirring it. Also less solid concentrates like wax or budder are mixed well and can be spread evenly on your final dish. You can give your regular meal an extra kick by adding concentrates. Unfortunately, you cannot truly enjoy the unique flavor of cannabis concentrates when in an edible. Another reason cannabis connoisseurs prefer vaping as the primary method of consumption. However, always pay attention to the quantity as concentrates are must stronger than normal flower. Dabbing is one of the most popular methods of concentrate consumption and is enjoyed by many concentrate lovers. The primary reason for the growing popularity of dabbing is that there are numerous options to fully customize the rig and attachments. In fact, concentrate enthusiasts use this avenue in order to customize their dabbing experience and to express themselves. The dabbing technique is based on heating a concentrate on a hot surface usually a nail or banger. Once heated, the vapors created by heat are inhaled through a rig. Today, people use special pipes to dab cannabis extracts – known as dab rigs. The rig contains a nail or banger that is heated with the help of butane blowtorch. After that, the concentrate of choice is gently dabbed onto the nail or bangers surface to create vapor. This is done by using a dab tool that is particularly designed to safely handle extracts. Do not do what they are doing on Instagram with 1 gram dabs, this is too much and only for people that need attention rather than need the benefits of cannabis. The biggest thing to take note is that dabbing is all about the proper temperature. Too hot and the dab hurts because you begin to vaporize the fats and lipids in the oily cannabis concentrate. These fats and lipids, when vaporized at too high a temperature, will then coat your lungs causing what is known as dab sweats and even leading to what is called dab lung or lipid pneumonia. This is your body saying don’t do that again. If your nail or banger is too low of a temperature you will just not get any vapor off of your nail. This is a better fail-safe than heating up a banger or nail too hot. You can always add a little more hear to the banger. 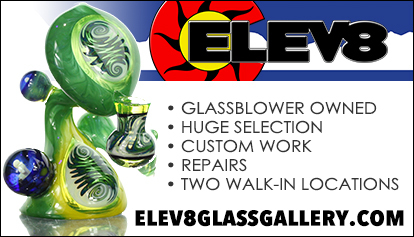 Here at Elev8, we have found that a vaporizer like the Silver Surfer Vaporizer delivers the most flavor full hits while an enail comes in second. Once you have the nail or banger hot and you drop the dab of cannabis concentrate into the banger or nail, the vapor is sucked into a dab rig. It gets filtered and cooled through a water chamber and finally, you can inhale it through the mouthpiece with a better experience than if you used a direct method like a dab straw. If you are an old-school hippie then this would seem like the glorified version of ‘knife hit’ that was used for hash smoking in good old days. However, the idea of heating dab nails or bangers by using a blowtorch is often unappealing for concentrate enthusiasts. Think about the dangers of using a torch as it is hot and can tip over and burn something. Also, using a torch and nail seems to many as someone doing crack or heroin. 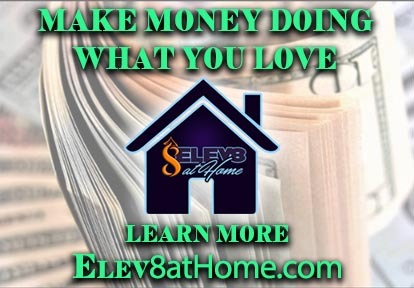 Here at Elev8, we wonder where the name banger came from as banging is what intravenous drug users do, so even the name banger is to many a bad name. Also, it is often inconvenient for people who prefer using cannabis quite discreetly as you need a torch, rig, banger or nail and probably put all that in a case. The reason why this method is quite popular is that dabbing like this gives you a quite smooth experience and allows you to savor the distinctive taste of the concentrate while enjoying sensational sweet hits. These rigs are made up of top quality Pyrex and made of stainless steel nail, a two-stage diffuser for maximum filtration and spherical water chamber. Currently, there are several methods for dabbing, including the products that offer effective vaporization like dab or vape pens, e-nails, bangers, domes, flavordisc pipes and straight up vaporizers rather they are desktop of portable. Concentrate connoisseurs are now more interested to adopt a method that has already taken the cannabis community by storm and is known as ‘low-temp’ dabbing. This is essentially the perfect temperature that will vaporize the needed medicines from the herb, while leaving behind the lipids and fats. It uses minimal heat levels and vaporizes the required concentrate quite evenly with smaller clouds than high-temp dabs. Low-temp dabbing is becoming increasingly popular as it offers optimal flavor and cannabinoid profiles consumption. Thus, it is highly regarded as a wonderful way for dabbing. Vaping is the most portable and discreet option to consume cannabis concentrates. It’s also the best way that a connoisseur uses to enjoy the full flavor of the concentrates. The most famous and common type of vaping is the pre-filled cartridge that is attached to a battery. This cartridge comes with a heating element that is powered by the battery and starts heating the concentrate as soon as it’s activated. This cartridge-and-battery combination is called a disposable vape pen. To operate a standard vape pen you must press a button and hold it while you inhale or if you are using a buttonless pen, take a drag from the cartridge mouthpiece. However, the pre-filled cartridges are not always re-fillable so you must discard them after the concentrate runs out but you can save and re-use the battery for later use on most pens. The other type of vape pen is where the user places the concentrates directly in the heating bowl like the Wax Maxer vaporizer. This is the preferred method for connoisseurs and people that do not want to consume what they do not know. Many times cartridges are cut with flavorings and glycerin. The flavorings they are range from organic cannabis terpenes to synthetic Jolly Rancher-like flavors that do not represent cannabis at all. Just like a vape pen, you can also go with a handheld vaporizer or dabbing unit. It is another famous portable method for the consumption of cannabis concentrates. The portable dabbing units is made only for oils and doing dabs. While the portable vaporizer is designed most often for dry herbs with many of the new generation performing well with concentrates. One thing to note is a dry herb vaporizer is designed to extract the cannabinoids at their proper vaping temperatures giving the user the most flavorful hits while being the most efficient way to consume. With the portable herb models like the SideKick vaporizer, you can load the bowl with dry herbs and then top it off with some tasty concentrates to enhance the vaping experience. For the pen vaporizers, they have a chamber that contains a heating coil that easily turns this concentrate into a vapor as soon as the button is pressed by the user. This method of consuming cannabis concentrates doesn’t require any equipment, unlike a dab rig, and the pen still provides you the ability to easily pre-fill the chamber with a concentrate of your choice and use it as per your demand like a connoisseur. Using a vaporizer, both portable and desktop is the most effective way of concentrate consumption. Vapes are not only discreet but it gives the user a lot more control over the product consumption. With over 130 different cannabinoids in cannabis, a vape connoisseur will dial in the perfect temperature for what they medicated effect they want. For example, depending on the kind of vaporizer you have, you can have many heat options to use with many desktops like the Silver Surfer vaporizer feature a rotary knob to dial in the perfect temperature. This ability works great and allows the consumer the full ability to change as well as match the temperature with the kind of smoking concentrate along with their different melting points. Most people prefer to invest in desktop vaporizers due to durability. Some vaporizers like Volcano vaporizer work great as it comes with a balloon-style bag that can easily be used with a group. While units like the Super Surfer can also work with a bag, but the main way to consume is with the whip. The whips style of vaping is preferred by connoisseurs as they like to experience each inhales and the flavors that come with each inhales. This is much the same a wine drinker will learn the different notes in wine, a vape connoisseur will learn the flavors associated with each strain and the special roasted flavors that particular strain produces. All you need to do is to just load the vaporizer and then press the button. Once the bag is filled, your vaporizer is ready to use. So try out different options on the market and go with the one that suits you best. Bowl-topping is considered as one of the easiest methods to smoke concentrate. This is done by adding it to the top of the flower. This helps you to get some of the concentrate’s potent effects without getting you too high. In fact, this is considered the best method for beginners to start consuming concentrates. All you need is just to pack the bowl with flower and add a small piece of shatter, budder or wax on top. Another way is to try layering it between the flower and in the middle of the bowl. If you prefer blunts or joints you can easily sprinkle concentrates inside before rolling. You may also try twaxing that involves shatter stretching into a thin rope and then wrapping it around the rolled joint outside. However, for twaxing, only certain concentrate consistencies work well as they need to be more malleable and not sticky. So you must be sure you fully understand your products consistency before handling it as an unstable consistency may result in sticking to your hands or wasting precious concentrate. One of the most effective bowl-topper concentrates is arguably bubble hash. Maybe because this is where it all started and hash is the oldest form of concentrate. The hash contains combustion properties which are similar to a flower. Also, bubble hash continues to say lit just like a match when it gets way too much heat so make sure you put out the cherry quickly. One of the best ways for bubble hash smoking on a bowl is to allow the flame to get closer to the hash so that it starts to bubble and then melt and that too, without setting it on fire. As soon as the bubble hash is fully melted into a bowl, it will be easier to burn and smoke with more consistency. In case you are new to the world of dabbing and you’ve never dabbed until now, the whole process may seem a little intimidating. Having said this, we don’t mean to scare you, but rather we are here to teach you. Have no fear because dabbing is a safe experience even for the first time if you do it right. Needless to say, it provides you a different high that is a a tad bit different, yet maybe more effective than the buzz you may get off a bong or a bowl pack. So don’t allow the little fire from a torch discourage you having this experience. Dabbing has become a famous way for cannabis concentrate consumption and believe us, there is a reason for it. All you need is to follow the beginners’ tips as we share below, and you can easily let go of that rookie status in no time. To give you the gist, dabbing is nothing but a highly concentrated cannabis doses. The dabs are also referred to as shatter, wax, budder or butane hash oil (BHO). Dabs are created by the extraction of THC and some additional cannabinoids by using CO2 or butane. This results in lovely sticky oil – practically a more semi-liquid ranging from brown to gold. As we have already discussed dabbing in detail in the previous chapter, it is worth mentioning again that dabbing may sound like a simple process. It just so happens to be that dabbing the most dangerous ways for cannabis consumption if you use a torch or enail. Even though dabbing is not considered the safest way, indeed, it can very well be an enjoyable experience. No doubt when any consumption procedure involves fire it automatically becomes risky but this does not mean that you should not consider dabbing or you cannot dab. There are other way to dab without a torch like an enail or vaporizer. Rest assured there are no disappointments if you follow these beginners’ tips right from the first attempt. In fact, once you know how to dab properly, you will wonder why you took so long to try it before now. Whenever you are up for cannabis consumption, it is very important to stay hydrated and drink plenty of fluids. This is because dabbing can easily burn your throat especially when you take big hits. Also, the nail or banger itself is usually heated roughly to around 500-710 degree Fahrenheit. Despite the fact that dabbing is a hot method and we suggest running the banger or nail as cool as you can, it is highly recommended to keep water with you. One of the primary reasons for a beginner to keep water nearby is to avoid the embarrassment when you take the first hit and it is too hot of a dab causing the fats and lipids to vaporizer with the cannabinoid compounds. There is a high chance of coughing and you should avoid choking up your lung. No doubt, you are a rookie but there is no need to flaunt it as such. Dabbing can turn out to be a scary experience if you are new to this world of the DABS. Thus, it is very important to experience it in a more comfortable environment especially when you are trying the procedure for the very first time. This might not prevent you from the feeling of getting overwhelmed or even anxious but it will help in making the overall experience a lot more pleasant. As we can conclude from the previous discussion, cannabis concentrates contain a high THC content and may often contain over 60% thus the high potency may cause the feelings of anxiety. This is particularly true for people who already feel anxiousness while generally consuming cannabis or in their daily lives. But if you are attempting the dab experience in a comfortable and relaxing setting, you can easily alleviate many these negative vibes. To fully enjoy all the goodness that is a part of dabbing, you must make sure not to overdo it. Just remember the old saying less is more. You can always so another dab. By doing small low temp dabs you will be on the path to the proper way of dabbing. There is a reason why people love dabbing and you will be able to feel the same experience. No doubt dabs offer a euphoric high, incomparable to others, but the aromas and flavors of the concentrates are also amazing that you can only get with vaping dry herbs in the first or second inhale. With each dab it will taste like a fresh new cannabis flower exploded in your mouth. Most importantly, most dabbing offers powerful and quick relief with ultimate fresh flavors. A fast way for you to not enjoy these dab benefits is when you go way too extreme being that of a beginner. This is caused by going too big of a dab and most importantly getting the nail too hot for dabs. Learn about the art of vaporizing here and each cannabidiol vaping temperature. If you are dabbing the dabs for the first time, it is imperative to start off slow and low by taking only a small dose. The compelling high that comes with dabbing may easily overwhelm you being a beginner. Thus it is best to start with micro doses of the cannabis concentrates. This way you can easily know how much you actually need and you can always work your way up to much higher doses with time. We want you also to know it is best to not get that banger or nail too hot. We see a lot of people want to get the banger or nail red hot and then dab it. Some will get it red hot and wait for it too cool and do the dab. This is better but still not the most efficient way to do a dab. We recommend to put the dab in the banger and then heat it with the torch. Once you see it begin to boil and vaporize you have basically hit the sweet spot for the dab temperature. Now start to inhale and experience a nice dab while leaving the fats and lipids behind. No doubt starting off with a small quantity is wondrous but even then you will be pretty high, especially being a beginner and when you work with a sativa concentrate. This can be quite intense in general. So in case you consume too much you might end up glued to your bed for quite some time. Remember a first time experience is more like a coin toss. Maybe you end up fine or on the contrary, you may end up doing nothing at all. Thus, it is always better to pick a chill day or weekend with little to no plans. This will work great for your first time experience. Also, the high lasts for a few hours so you will need some time to actually wind down. Last but not the least, there is no harm to watch an expert dab before you actually attempt dabbing. If you are more of a visual learner, who takes pointers and one-on-one instructions, get the help of a pro. This is a great idea for two basic reasons; first that you can easily learn how to hit and secondly you can get some expert tips to avoid burning yourself. This will also make you less confused with regards to the process. Just stay away from Instagram dabbers doing gram dabs. Looks for info on how to do a low temp dab. There is a common observation that beginners usually waste a lot of oil. So if you wish to get high for longer you must make the oil last as long as you can. When you start by keeping this in mind, an expert or pro can really help you save a lot of trouble. Learning from a pro will also help you to get a stellar high. One thing to note is if you are doing a good low temperature dab there will always be oil left over. This oil has already had all the compounds vaporized out of it and is just the left over fats and lipids. Many people call this reclaim, while it can be vaped again, much of the goodness is gone and you run a risk of vaping the oils rather than the cannabinoid compounds. All in all, dabbing is undoubtedly a stellar way to enjoy cannabis consumption. The method is trending among consumers and also providing an out-of-the-world experience. Indeed it can be quite scary and dangerous when you are stepping into the world of dabbing and are not educated in using a torch. But even the pros once started as a rookie and work their way up to get the pro status. Follow these tips and help yourself by avoiding the first-time bummer. How Do You Find High-Quality Concentrates? There are different kinds of concentrates and each one of these concentrates comes with its own mark of quality. However, for the most part, the quality always comes down high quality flower makes high quality dabs and concentrates. One can also tell from the cannabis concentrates consistency and color. Even though there have been many exciting developments in terms of cannabis technology and different methods and tools, specifically designed for the purpose, are used to produce concentrates, not all the practices of extraction produces the finest product. There are still many practices involved in cannabis extraction that are in their infancy and not each extractor holds the scientific finesse to develop a pure and clean product. Cannabis has a huge market as you know. You can find concentrates in any market easily but you cannot be sure of the quality product unless you know the maker. Not every available concentrate is of high quality. It is often, quite difficult to find the quality product as there are not many legal obligations to ensure purity. In fact, there are quite a few labs that ensure rigorous testing and carry out scientifically informed processes. BHO – A butane hash oil that looks like wax or shatter and is a concentrated cannabis extract. The procedure of producing high-quality BHO is indeed tricky as the volatile components i.e. terpenes may evaporate easily with the butane removal. The high-quality butane appears dark amber colored to golden and is pliable. CO2 – Since the cannabis connoisseurs look for greater quality and higher purity, obscure extraction methods are well known for making better and different cannabis concentrates. These methods include super-critical fluid extraction that is used to make CO2 oil. When the produced CO2 a has deep to light amber coloration and when it is liquid in nature, it is considered a very high-quality concentrate. Hash – Judgment of the quality and effect of hashish is quite challenging. Just like cannabis that can be judged on the basis of crystal coverage and aroma, hashish lacks unique features and is hard to determine if it has good or bad quality. However fresh and high-quality hashish is somewhat fragrant. It is usually golden in color and more pliable but can turn dark brown with time and pressure, or from true hand rubbed hash. If the hash is fully dried or moldy, it indicates poor quality. FECO – It is a full extract cannabis oil and retails with different product descriptions with names such as RSO (Rick Simpson Oil), medical cannabis or plant medicine just to name a few. To be sure of getting only the high-quality FECO, it should appear black or deep green in coloration and must be in the liquid state. This is made from soaking in alcohol and the green comes from the chlorophyll. Isolates – Also known as CBD isolates. It is the extraction of the CBD from the plant to get the subsequent product as the pure ‘CBD’. The purest form of isolates is clear or white in appearance with crystal-like appearance. It looks quite beautiful and can be consumed directly. You can consume this high-quality isolates simply by adding to drink or even applying topically. Rosin – This is the most expensive concentrate at the dispensaries. It involves no solvents and it is made from terpene and trichome rich plants. To get the higher quality yields, producers sift and press these plants from kief. If the rosin concentrate is of high quality or not; you can judge this by its texture and color. The high-quality rosin is dark amber in coloration and more pliable and gooey in texture. Yet there are nearly white verities that have amazing flavor and aroma. The consumption of cannabis concentrates may become increasingly popular and common but you should not compromise on the quality of concentrates. Regardless which concentrates you like to go with, it must be of good quality to avoid any complications. High-quality concentrates are not only potent but also fresh and more flavorful. So far, it has been evident that using cannabis concentrates is a fantastic way to consume cannabis. But what should you do if you cannot finish the whole product in one sitting? Well, the answer to this question might create a bigger impact on your concentrates’ quality than you may think. As we know cannabis is not a typical plant but is a very unique and complex organism. It is composed of a big network of cannabinoids that works with our endocannabinoid system. The most notable of all is, of course THC and CBD both of which you must store properly. Did you know that a well stored and properly made tincture can practically have an indefinite shelf life? If you leave the tincture undisturbed in an ideal dark environment, it can last for years with very little or even no degradation whatsoever. On the contrary, even the most well-prepared and expertly crafted brownie (cannabis-infused), even in ideal condition, may render itself quite inedible and in a much lesser time. So depending on the quality of concentrates and its production method, different cannabis concentrates have a different shelf life. Thus it is important to store them properly and by using different proven methods. There are many different methods to properly store cannabis concentrates. You must preserve them to ensure peak freshness as well as prevent them from degradation or drying out. Indeed this decision is your personal preference. For instance, you may prefer to stick to some airtight containers in dark cool places. This is not a bad idea as cannabis concentrates easily melt when exposed to a warmer environment. Remember, the degradation of cannabis concentrations or their exposure to an unfavorable environment not only makes them lose cannabinoids but it also significantly affects the aroma, flavor etc.With that, you must also know that for how long the cannabis concentrates should be stored. The duration of time for which concentrates can be stored depends entirely on the storage method. This means that if you use the right method of storage you can easily store the concentrates for an indefinite period of time. But do consider that with the passage of time, the cannabinoids present in the concentrates will continue to break down until the concentrate has potentially lost all of its purposes. Here are some of the preferred and recommended concentrates storage methods. Most of the people prefer to use silicon containers for the storage of concentrates. In fact, it is one of the most popular storage methods. These containers are medical grade, small silicon containers. The best part about using this storage method is that silicon containers are basically non-stick. They are quite easy to clean and you can do so just by boiling in hot water or cleaning out with alcohol. These containers act as the perfect insulator and prevent your product from becoming too warm. You can use these containers again and again as they are reusable and unbreakable. You can take dabs from them directly. Also if you use something like nectar collector or honey straw, such products make is quite convenient to smoke on the go, especially during traveling. The Huny Bucket is an upgrade to the all silicon storage container as it has a hard plastic outer case. This case prevents the container from breaking open in your pocket and loosing the dabs in your pocket. Another great option to store cannabis concentrates is on parchment paper. It is another inexpensive method and parchment paper can easily be found in kitchens and your local grocery store. It prevents things from sticking, thanks to the thin silicon layer. In fact, this is one of the many reasons people prefer to use parchment paper. You don’t want your product to stick and you prefer to lift it easily for consumption. However, don’t confuse wax paper with parchment paper. Wax paper is actually coated in original wax and easily sticks to anything that is placed on it. Parchment paper is not the best storage container as it will allow air to get to your concentrates. If you’ve had the experience of purchasing concentrate from any dispensary, you must have noticed that some concentrates available on the dispensaries are sold in glass containers or transparent plastic. This is a great way of storing concentrate as it allows you to see the product at all times. The product doesn’t stick and this reduces the risk of product waste. In fact, glass containers are usually made with tempered glass and are best to use a with dabs. However, if you are looking for a more long-term storage method, apart from freezing, there is this one great option usually applied to store alcohol-based tinctures. You can store the product in a controlled environment and in airtight, sterilized glass bottles. This way you can easily keep the alcohol-based tinctures and they will last for more than six months. However, any glycerin or additives added to the tincture may easily reduce its shelf life. Storing cannabis concentrates in the freezer is a common practice. Many people prefer this method of storage. In fact, freezing often makes your finished product a lot easier to handle, especially for shatter and goopy concentrates. Indeed, there are numerous reasons not to go with the freezing option. One of the primary reasons is that freezing exposes the concentrates to excess humidity (potentially) and this, in turn, reduces the quality of your cannabis concentrate. This can be solved by storing your concentrates in an airtight container much like the Huny Bucket. Do you know that concentrates which develop moisture can easily crackle during consumption and provide a very harsh experience! The crackling also will make more of a mess, so keep it dry and pure concentrate. So if you plan to freeze the product, always place the concentrate in a size-appropriate and air-sealed container. Consider this a vital step. On the other hand, if the container is not properly sealed, condensation may easily develop on the finished product especially if its a oil or wax. Similarly wrapping the concentrate in parchment paper, keeping it in a vacuum-sealed bag or freezer bag and then keeping the product in a proper size-appropriate mason jar is another great way to go about storing concentrates. But before you open the final product, allow the product to thaw and also watch for any moisture development as it can form condensation. The only way to keep your cannabis concentrates fresh and to maintain their potency is to follow proper caring and storing methods. Storing cannabis concentrates is not at all a complex process if you take into account some important considerations such as protecting the product from exposure to elements like heat, humidity, light, and extreme cold. Just as it is not recommended to touch or jostle your product unnecessarily or more than you need to. Rule Of Thumb For Concentrate Storage: Always avoid touching the cannabis concentrate except when you are consuming them. Each time you handle any dried flower, you are more likely to degrade the trichomes of the cannabis flower. As we know trichomes are sticky in nature so every time you touch the flower bud, trichomes usually break off and eventually stick to the skin or your hands. Also, avoid transporting the cannabis products unnecessarily and prevent any kind of constant movement. This also applies when you are just handling the product in a jar that you used to store the unique cannabis as the cannabis may get jarred and trichomes may break off. Since now we’ve discussed almost everything about cannabis concentrates, what are concentrates, their types, how they are produced, stored and consumed, it’s time to look at some of the risks of improper concentrate consumption. Apart from the conventional act of marijuana smoking, now you can bake edibles, vape and use tonics and topical ointments. You can even use cannabis chapstick or body lotion. Indeed, not every act of getting stoned is actually as safe and good as others. In brief, there are some that are outright dangerous. These associated risks are not directly related to cannabis consumption but the method of consumption of itself. One of the popular methods, that you are now already familiar with, is dabbing. While it is true that dabbing is a safe experience, you must also know; there are some severe health risks attached to dabbing that go beyond another method of consumption. Undoubtedly, cannabis concentrates have already been under scrutiny in the past few years, due to their increasing popularity among enthusiasts and the younger generation. In fact, what once recognized as the relatively unknown niche in the growing legal market is now a cultural phenomenon, developing a whole subculture in its wake. Are Dabs Safe or Dangerous? Dabbing is now a catch-all term that refers to the act of melting concentrate by using a heat source to inhale the subsequent vapor. So if we have answered the question of its safety, we must break down and answer by considering some big misconceptions. The first misconception is indeed frustrating in that the illegal amateur extraction methods to have dangers and risks. Extracts which are generated with light hydrocarbons like propane or butane need the help of closed-loop systems along with extreme safety measures. Thus when concentrates are manufactured illegally and by resorting to the open source techniques like open blasting, it becomes potentially lethal and highly dangerous to make these concentrates. This is why many states have made making concentrates at home with solvents like butane are now felonies. Previously, amateurs who have attempted to perform the process at home faced explosions, occasional death, or serious injuries. As a result, the news articles wrongfully stigmatized the whole culture by displaying headlines like A New Explosive Trend – Dabbing! Another common misconception is that the dabbing practice requires dangerous tools, notably blowtorches. This means that when an amateur use a standard nail (a popular surface for dabbing) generally a torch is used to a heating purpose. We know that torches need a degree of mindfulness and if handled irresponsibly, they can become quite dangerous. However, the risk can easily be avoided by using e-nails or better yet a vaporizer like the Silver Surfer Vaporizer. But again, regardless of the tools you are using, you must use them carefully and with complete focus to avoid harming yourself which is why a good quality vaporizer is still the best consumption tool on the market. Are Some Concentrates More Dangerous than Others? There is a huge misconception that all the cannabis concentrates are produced equal. What many people fail to understand is that a dab is more of an umbrella term that is used for all concentrates. This term refers to many cannabis-derived substances that are oily or waxy. Concentrates that are separated mechanically like dry sift or kief is not considered dabs. This means that not every extract contains potentially dangerous chemicals like those made from butane. To fully understand dabbing safety, you must recognize that concentrates, which pose a severe health threat, are only those which employ chemicals for extraction purpose and the ones that retain high levels of these chemical compounds after the completion of the extraction process. Commonly, the concentrates that actually fall into that category are the ones that are created improperly, cheap or by amateur extractors. Are Dabs Harmful to Physical Health? Dabbing is surrounded by many misconceptions and one of them is related to the safety of vapor inhalation from concentrates themselves. The question if dabs are harmful to health, or not has already been scrutinized heavily and it is often difficult for newcomers to look for accurate information. So before addressing concerns like if dabbling is actually harmful to your lungs or bad for brain functionality, you must note a few things. The foremost is that all concentrates comprise of cannabinoids, terpenes, and flavonoids. In adult users, these components have never shown any negative impact on lung or brain function. In addition to these components, there is a few concentrates that also contain quite low (below 500 PPM) concentration of remaining hydrocarbons (on the basis of extraction method). As per states including Oregon, Washington, and Colorado, concentrates which are tested below that threshold in terms of residual hydrocarbon content are considered safe for consumption. Also, recreational concentrates go through a proper lab test and any components showing up in a test that contains foreign contaminants is already rejected before sale. Thus, dabbing is a safe experience as long as you buy a tested concentrate that is not only tested clean but also comes from a renowned licensed vendor. One of the biggest things that make dabbing not as perceived safe is that many times users have uncontrolled coughs after dabbing. This is because there is so much misinformation in the world. First never ever run you enail at 710 degrees. This is a famous number now as upside down it says oil. Many people believe this is the temperature they should have their enail set at. This is WRONG. Learn more about the temperatures that different cannabis compounds vaporize at here. The most perfect temperature for full spectrum consumption would be 428 degrees. So what is the issue of high-temperature dabs and what makes it bad? Cannabis concentrates have over 133 compounds in them and these compounds are in a carrier that is made up of fats and lipids. The fats and lipids for hemp seed oil start to smoke at temps over 330 degrees. So having you concentrate over this will make them harsher. Now, the issue is you must get some of the compounds to 428 degrees and this will make the lipids start to smoke. The good thing that is noted is that the compounds will vaporize out of the fats and lipids before the fats and lipids are smoked away. A good thing to note is that there should be a small about of leftover oil when you are done dabbing. Use a Tidy Tip to clean the oils up, or put concentrates on flower and vaporizer from there so the flower will absorb the oils making cleanup easier. Cannabis Flower or Concentrates – Which is Stronger? There is a concern about dabbing that cannabis concentrates are highly stronger than its flowers. Well, there is no doubt about it if you go by flower mass compared to concentrate mass. In fact, alleviating this idea is as simple as understanding that amateur or inexperienced dabbers must dose smaller amounts while trying concentrates, the first time. Again, the real danger is associated with overconsumption or the way of consumption. Proper dosing is often little tricky because of the concentrates with high-density THC. It is recommended to consult with an experienced dabber or a budtender beforehand so that you can avoid the unpleasant and undesirable experience of too much consumption. The best way to dab or for that matter any cannabis consumption should be done in small hits, but more of them. This is not micro-dosing, but this is mass micro inhales as we like to say. This allows your lungs to absorb more of the cannabinoids as they can only absorb so much at a time. Another thing to note when comparing concentrates to flower is that most of the time people refer to the flower as being smoked. Smoking is combustion and has a lot of negative effects on cannabinoids and cannabis with up to 60% of the active ingredients being destroyed by combustion. Using a vaporizer eliminates combustion and makes consuming the flower about the same as dabbing, if not better as it is 100% full spectrum. Speaking of which, let us look at some of the most common risks associated with dabs that are usually faced by the younger crowd, searching for stronger methods to get stoned. Here are 6 major health risks of improper dabbing. No part of this guide can be transmitted or reproduced in any form including print, electronic, photocopying, scanning, mechanical or recording without prior written permission from the author. While the author has taken utmost efforts to ensure the accuracy of the written content, all readers are advised to follow information mentioned herein at their own risk. The author cannot be held responsible for any personal or commercial damage caused by misinterpretation of information. All readers are encouraged to seek professional advice when needed. This guide has been written for information and entertainment purposes only. Every effort has been made to make this guide as complete and accurate as possible. However, there may be mistakes in typography or content. Also, this guide provides information only up to the publishing date. Therefore, this guide should be used as a guide – not as the ultimate source. The purpose of this guide is to educate and entertain. The author and the publisher do not warrant that the information contained in this guide is fully complete and shall not be responsible for any errors or omissions. The author and publisher shall have neither liability nor responsibility to any person or entity with respect to any loss or damage caused or alleged to be caused directly or indirectly by this guide.